It’s beginning to look like Bernie Madoff’s business model had less in common with a hedge fund or investment management firm than it did with an online virtual reality game. Sort of a Sim City for investors. The money sent in was real: everything thereafter was from Oz. Until now, we’ve thought of Madoff’s business as another financial management operation gone crooked. Think rogue currency traders, badly hedged positions, or just pump and dump. But the Madoff scandal may be truly unique. A federal agency that regulates brokerage firms says there is no record of Madoff’s investment funds placing trades through his brokerage operation. That leaves only two options – either he was placing trades only through other firms, which would be highly unusual, or he was not placing any trades. •	If there were no trades, then there were no investment gains. The “profits” he made were a myth. •	Madoff has claimed he made money only on trading commissions—but if there were no trades, then there were no commissions. •	The statements he issued to investors were truly fictitious. His “statements” were to real accounts as an avatar is to a gamer. All an investor could know for sure was that you gave Madoff money, and you got back pieces of computer paper with ink on them. Let’s say you sent in $1M through a feeder fund. You got back monthly “statements.” Let’s say you got a return of 15%. In five years, you “owned” $2M. But follow the money. Your original $1M went to Madoff’s bank account. Each year, Madoff took out a few percent (“transaction fees”), and your feeder fund took 20% of your “profits.” (Neither “transaction” nor “profit,” of course, are real; the only thing real is that Madoff and the feeders took money out). In five years, that’s about $400K. Instead of $2M, you know “own” $600K. And of course, “own” belongs in quotes too. Even that was bupkus. Virtual reality money. Sim City money. Monopoly money. In the real world, it didn’t exist except in Bernie’s bank account and a computer program. But it did exist, you say; people got their money back! I’ve seen some Madoff statements. They look like day-trader accounts. They show page after page of “transactions,” without any subtotals or easy way of matching buy/sell orders. If you checked, the market prices all looked valid. They were. They just weren’t hooked up to a real account. He was in effect running an entire trading system in simulation mode—and telling everyone it was real. If you looked at the bottom of your “statement,” you’d find Madoff’s broker-dealer firm’s name. Except—it apparently never made those trades. Many people believe it’s impossible that one man could pull all this off. I’m not so sure. Madoff made his reputation on building complex financial systems, covering the full range of investment management—accounts, trades, taxes, clearinghouses, balances. All he had to do was switch the input signal from real accounts to simulated accounts. And every programmer knows what happens then: GIGO—Garbage In, Garbage Out. Call it the Madoff Virtual Reality Trading Simulation Game. And pay no attention to that man behind the curtain. 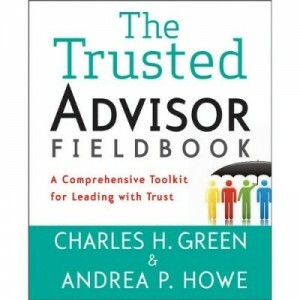 http://trustedadvisor.com/public/trusted_advisor1.png 0 0 Charles H. Green http://trustedadvisor.com/public/trusted_advisor1.png Charles H. Green2009-01-17 17:26:542009-01-17 17:26:54Madoff: Investment Fund, or Virtual Reality Game? 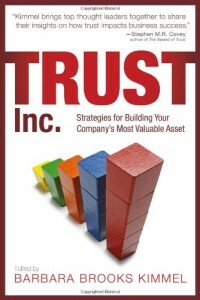 Financial and commercial markets depend not just on forecasts, but on trust.